Xin’s been painting for a live audience every Friday afternoon from 3-5 EST, and for those of you who can’t make it, we thought we’d share the steps in his process! First, he gets some kind of direction. 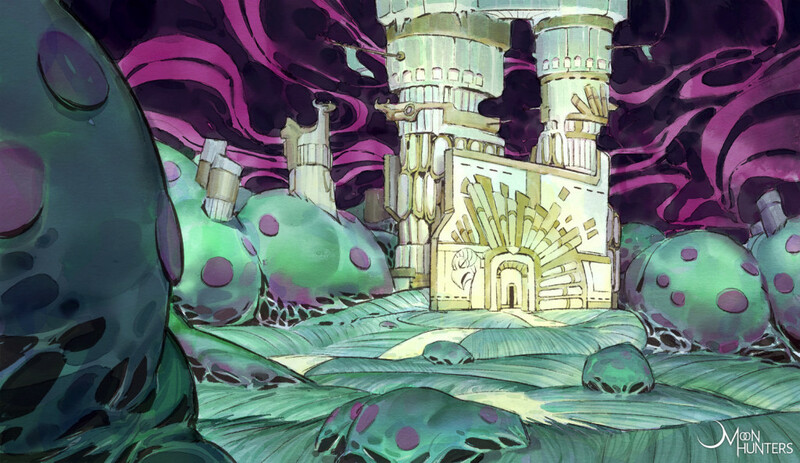 For the example below, we knew we needed more art direction for our landscape development. 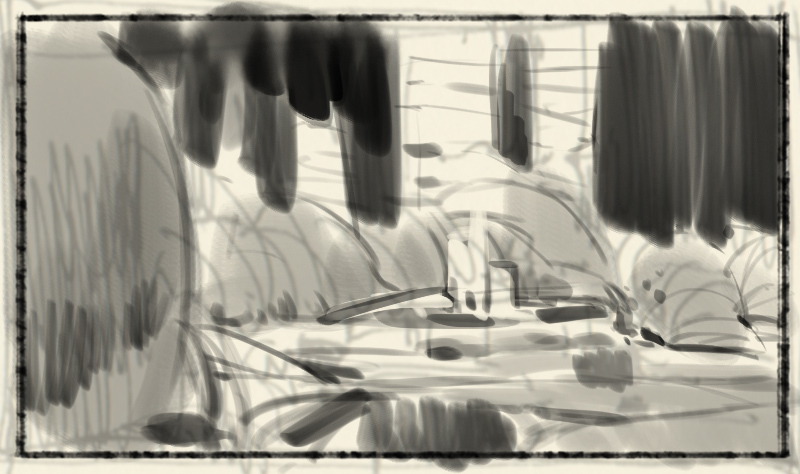 The previous landscape he concepted was quite bright, and themed along bone and blood, in a relatively clear hilly area. 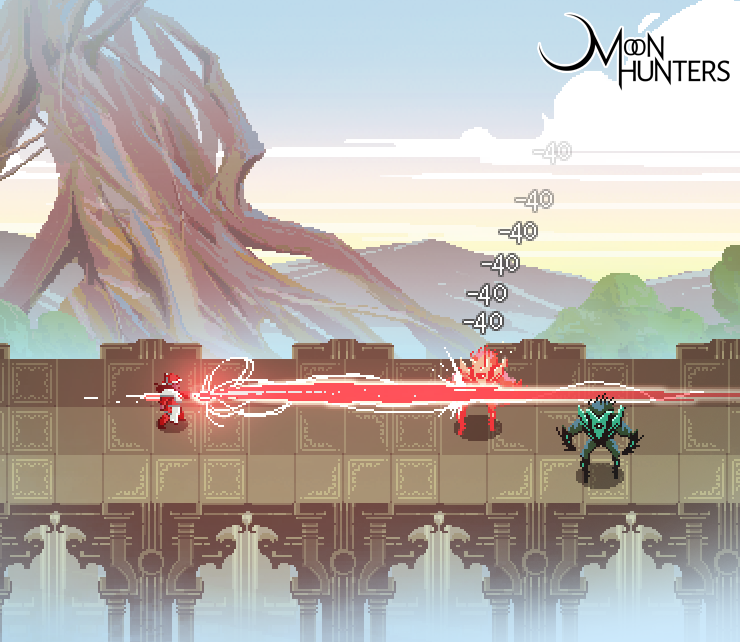 In the dark Moon Hunters universe, bone and blood are aligned with the Moon-worshipping player characters. So, the other end of the scale would be a densely wooded area where the villainous Sun cultists might have set up a lair. With the overall idea in mind (dark, dense, Sun), he looks through our mood board, surfs some Google references, and thumbnails in monochrome to get the overall composition, doing this 4 to 6 times before picking the one he’ll go forward with. This takes about fifteen minutes to half an hour in total. He doesn’t need to explain to anyone else what the vision is — this is just for his own reference. This is where the live-stream started. He dropped the opacity down and draws on top. 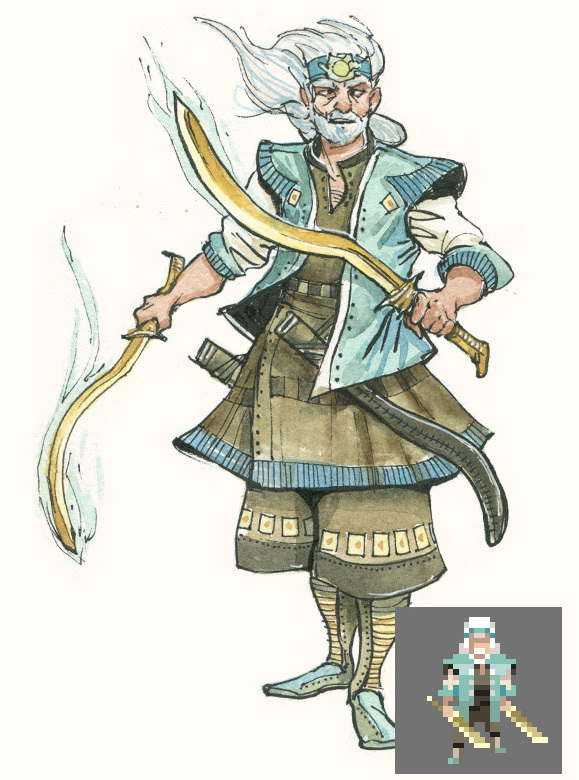 He took roughly an hour to “ink” it (since the Moon Hunters styling is heavy inked lines), and another hour to splash in some basic colors. After the livestream ended, he took another four hours or so to clean it up, polish it, and layer in more details and color. As you can see, in this one he took a bit of extra time to re-work the central architecture, keeping the ‘sunburst’ motif but making the construction more elegant. The next step? 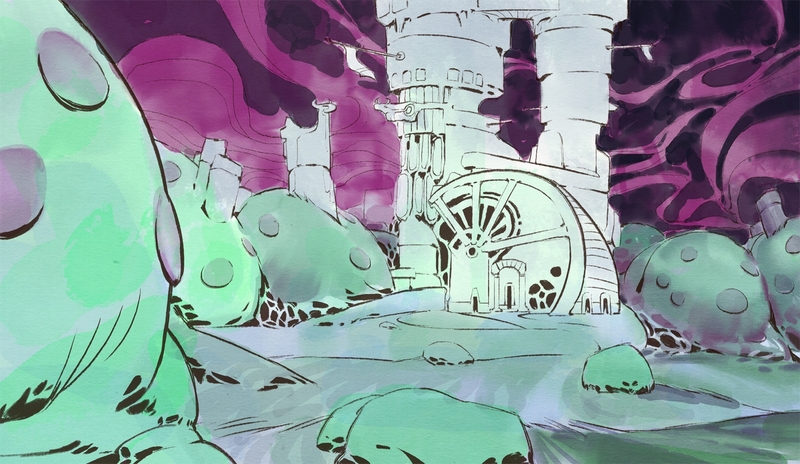 Translating this into a scene in the game… join us Friday for another glimpse into the Moon Hunters universe! Livestream Today: Concept Art Live! Today Xin will be live-streaming painting a watercolor concept for Moon Hunters, from sketch to semi-finished, from 3pm to 5pm EST today (Friday June 27th). We’ll probably be making a habit of it, so mark your calendars! We’re likely to continue streaming art for the time being, but maybe we’ll veer off into other parts of game development as the game marches towards release. And this time, he says the piece will be ‘darker’. Tune in to find out what he means! If you’ve been reading our newsletter, you’ll know that Xin has been painting up a storm, taking references from every which way to inform our ancient world. 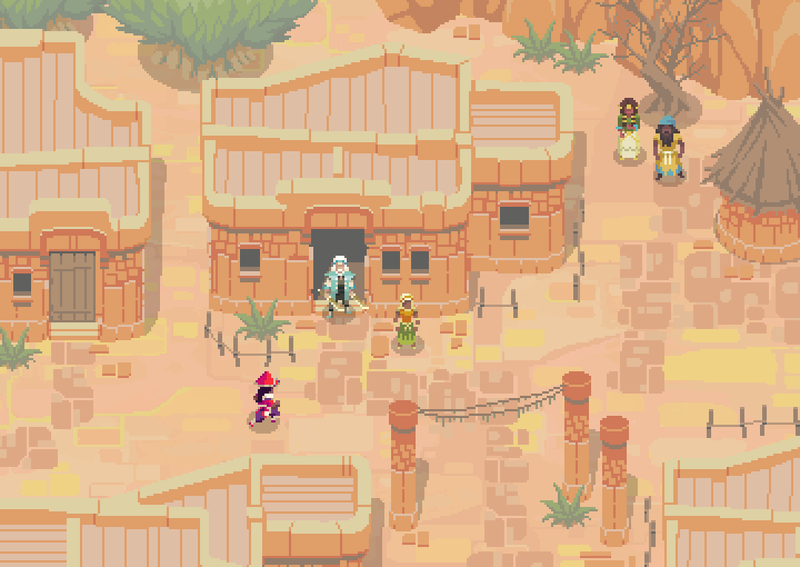 Moon Hunters is set in an age when gods walked the earth, when the tribes of mortals were still finding their purpose in the world, and defining what it meant to be human. The spirit of every creature and object is fresh and alive, newly captured by the hands of its creators. As a master of Wild magics, the Druid can speak in tongues older than apes and war. Druids are only partially human after becoming attuned to the green of leaf and red of tooth. Some prefer to run in packs or herds, delighting in the company of others and entertaining friends with tales of what happens in the light of the full Moon. Others prefer the quiet companionship of trees and flora, shunning other humans as noisy, impatient animals, rushing around too quickly to absorb the wisdom that comes from roots sunk down deep into the soil. Ancient myth tells us that when the Sun tried to slay the Moon and take Her power the first time, the earth and everything on it were formed from the flesh of the goddess’s body, and the rivers from Her blood. Druids are grateful to the Moon for Her sacrifice, so that all creatures may live and grow from Her gift. 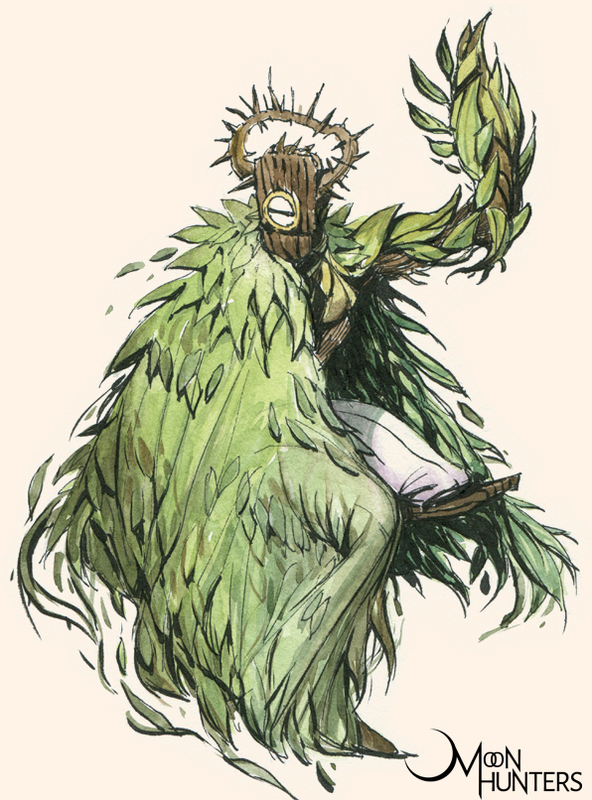 Gameplay-wise, we’re thinking the Druid can help the party explore by persuading stubborn brambles and beasts to step out of the way. We’re toying with a few different ideas for the Druid — does the Druid summon Wild creatures to help in battle, or transform into different creatures? Or both? We’re honestly not sure yet, but we’ll let you know when the prototype is ready to show. 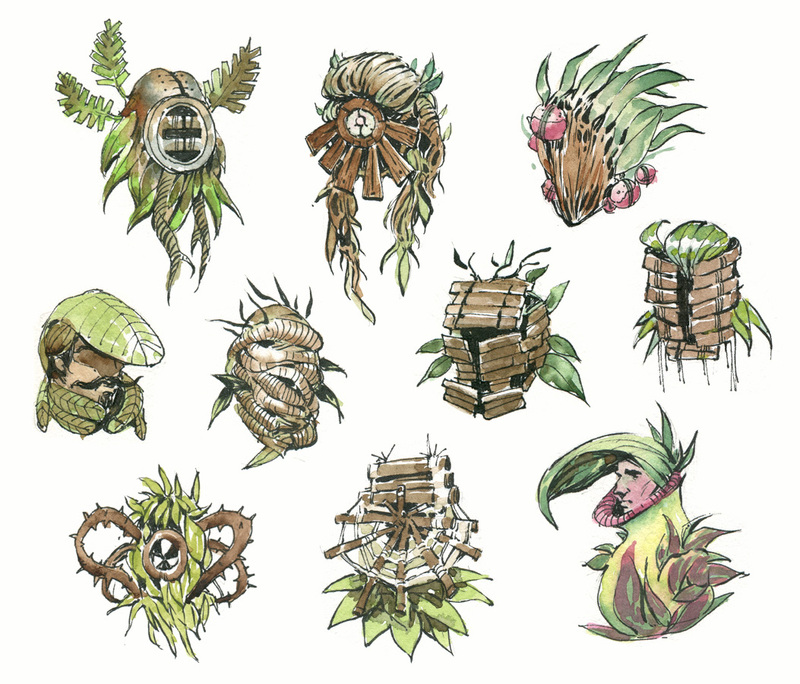 And a few character customisation head concepts from Xin are below. Some are funny, others inscrutable. We’re hoping to keep the ‘weird’ tone, when they’re translated into pixel art. Feel free to comment in the forums if you want to pressure Xin and G.P. 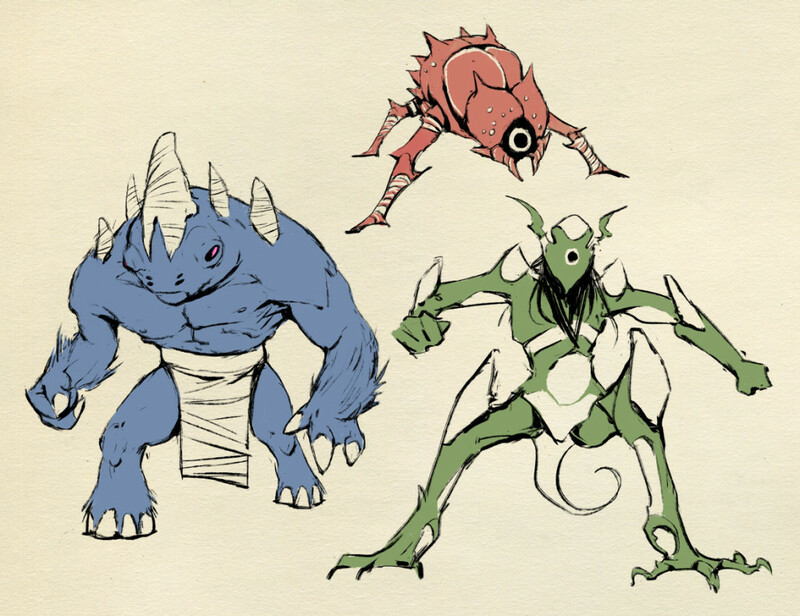 to turn concepts and characters into wallpapers, or suggest a particular creature/character design. Character Creation, Monsters, and More! We’re in our last week on the Square Enix Collective feedback round. 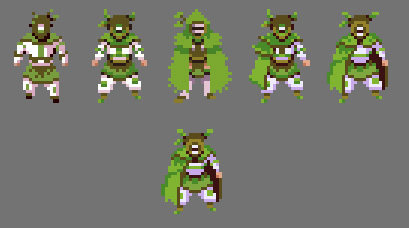 We’ve been working on the art and design for Moon Hunters and I thought I’d share a few bits and pieces with you. Most of this was already sent to our newsletter last week, so be sure to join it if you haven’t yet! 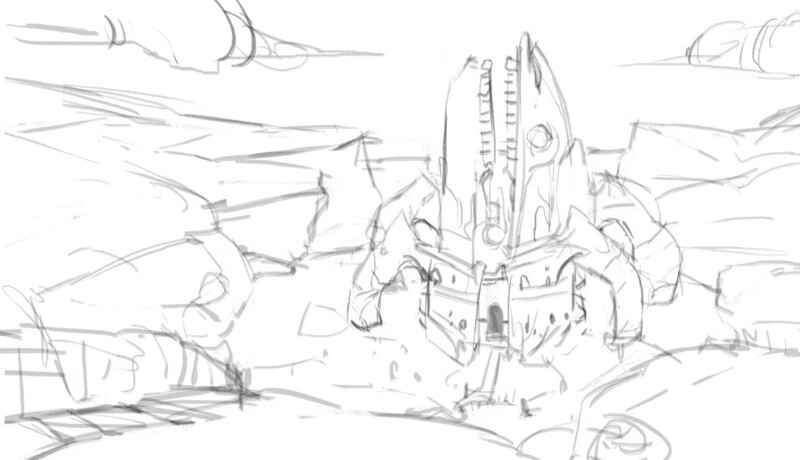 First, we can show you a glimpse of a landmark we’re developing. Of course, the Temple is only one of dozens of landmarks, not to mention the dangerous monster territories your personal version of the world. Building up your hero’s mythology will depend greatly on your exploration strategy – are you the type to run amok over the continent, or do you prefer to ensure the safety of an area before you move on? Meanwhile, Xin is sketching up a storm, working out different enemies and allies you might find on your journeys. 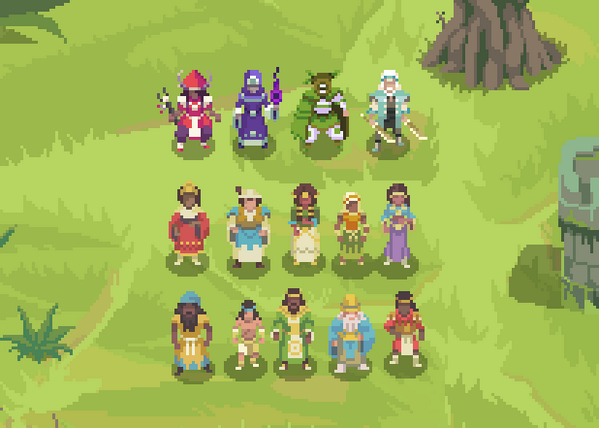 Here’s a few of the wilder denizens of the Moon Hunters world, who may not take kindly to uppity players invading their territory. At least, not without the proper rituals being observed! Also, we’ve gotten so many questions about classes and personalities, we thought we’d share our designs for the character creation, to help illustrate what we’re aiming for. Each of the character classes plays quite differently, and you can mix and match your class, personality archetype, and color palettes. The Occultist, for example, is a fast yet fragile character that can slip in and out of attack range, and summon a shadow blade in an emergency. Still, it’s up to you whether her personality is more of an intellectual genius or a soft-hearted priestess. That’s all for now! Make sure to sign up for the newsletter for more information on Moon Hunters and how you can help make this game a reality! 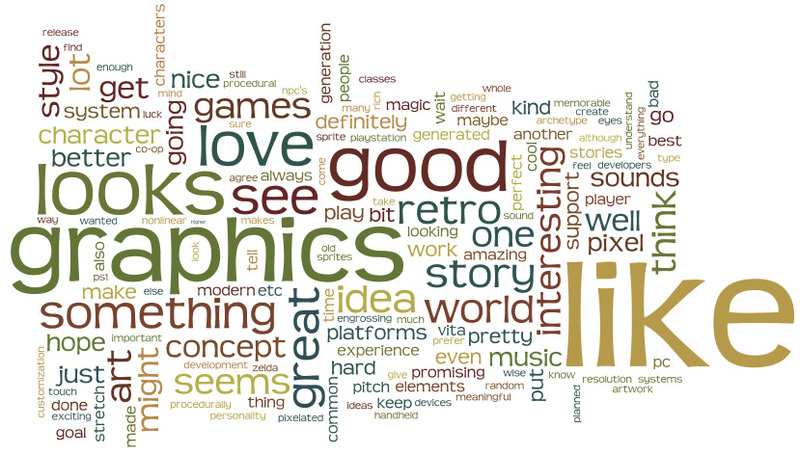 We took all of the comments from the Moon Hunters Square Enix Collective project page and made a word cloud with them, to find out what people most cared about, for better or for worse. Some of it was semi-obvious — graphics and art, for example… but some might surprise you! We excluded the words “game” and “really”, but everything else is there! We’re really happy with the reaction so far. I think it’s clear that the aesthetic we’ve chosen resonates with some people but puts others off. And that’s okay! We’re not interested in making a middling game for everyone — we’re interested in making a best-game-ever for one slice of gamers. So we’ll just have to accept that our taste is different from others’.. as long as SOME people out there love what we’re doing, that’s ideal. Pixel art isn’t for everyone, but neither is poutine. Moon Hunters is an open-world adventure for 1-4 players, solving ancient mysteries and building mythologies. 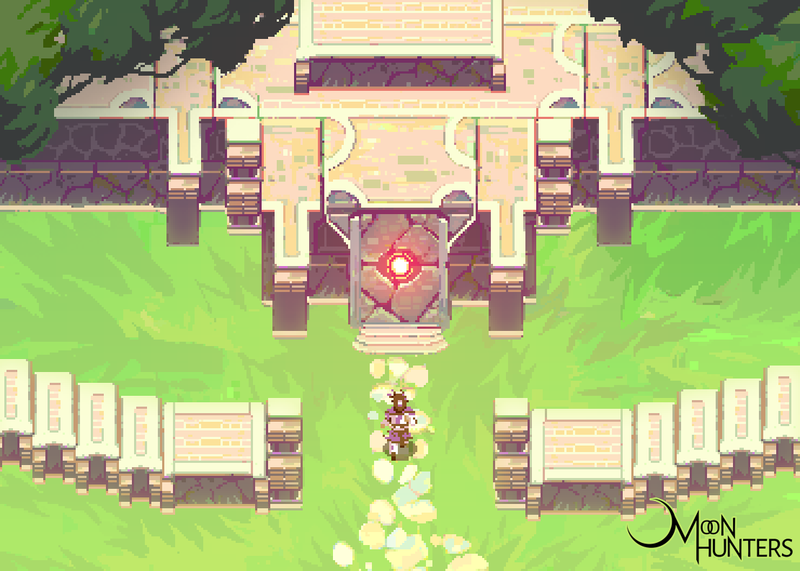 Explore a hand-painted pixel art world that’s randomly generated yet rich with crafting, non-linear stories, and arcane lore. An open, procedurally generated world: Over a hundred different locations and landmarks each have their own potential to help or hinder adventurers. Exploration is key: Every landmark and territory may contain a Myth, which is essential in growing your world and your character. Myth-based crafting: Find, collect, and combine rare resources in different ways to create items, learn spells, and summon creatures. Day and night cycle: Monsters and villagers behave differently and rituals have different results depending on the time of day. Pick-up-and-play action: A quick, tight feel inspired by Legend of Zelda lets players set their own pace. 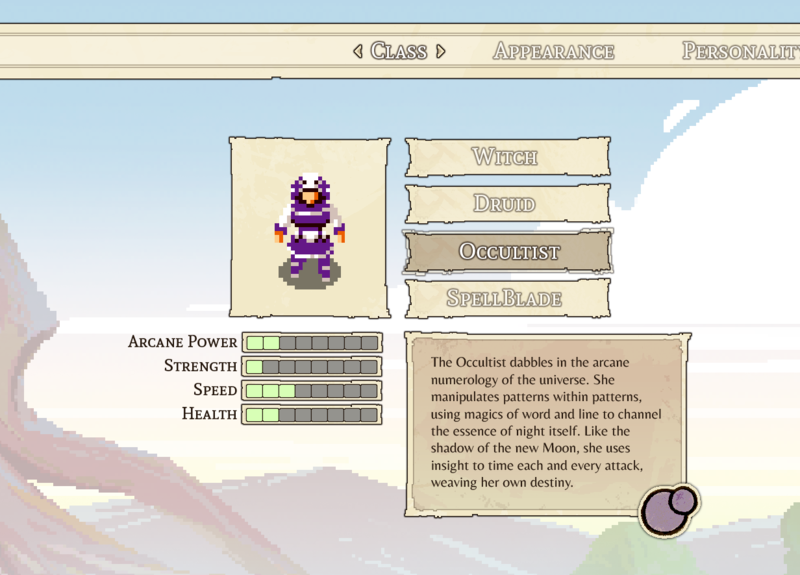 A majority of the time in Moon Hunters is spent fighting monsters and claiming magical treasures, so it’s important that combat feels responsive and intuitive. Character progression: Unlock new powers, creatures, items, and myths as you explore the world. Gamer-family friendly: Accessible controls, short play sessions, and co-operative gameplay allow families to play together easily. 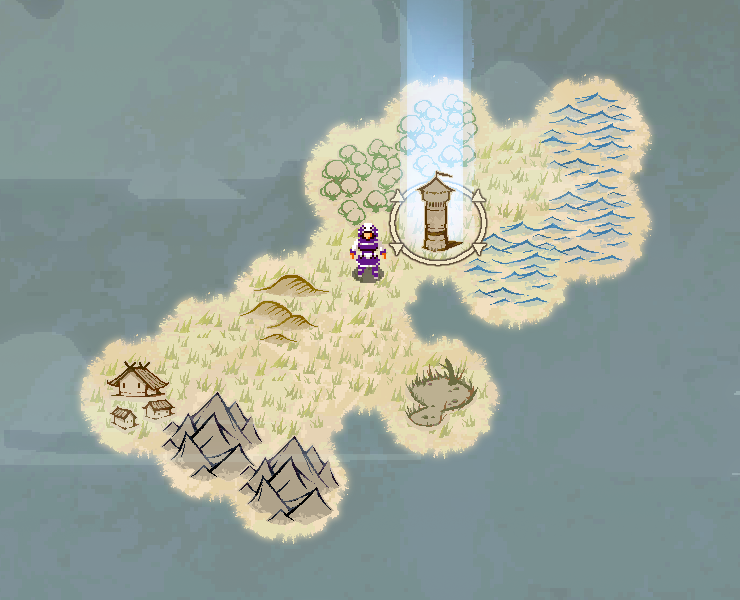 You can sign up for the Moon Hunters specific newsletter by checking the website: http://www.moonhuntersgame.com or just clicking here. The project was chosen to join the pilot program of the Square Enix Collective! If you head over there, you can read all about the concept and show your support by upvoting us! Any press inquiries or random suggestions, comments, and questions can be either commented there… or send an email anytime to tanya@kitfoxgames.com.